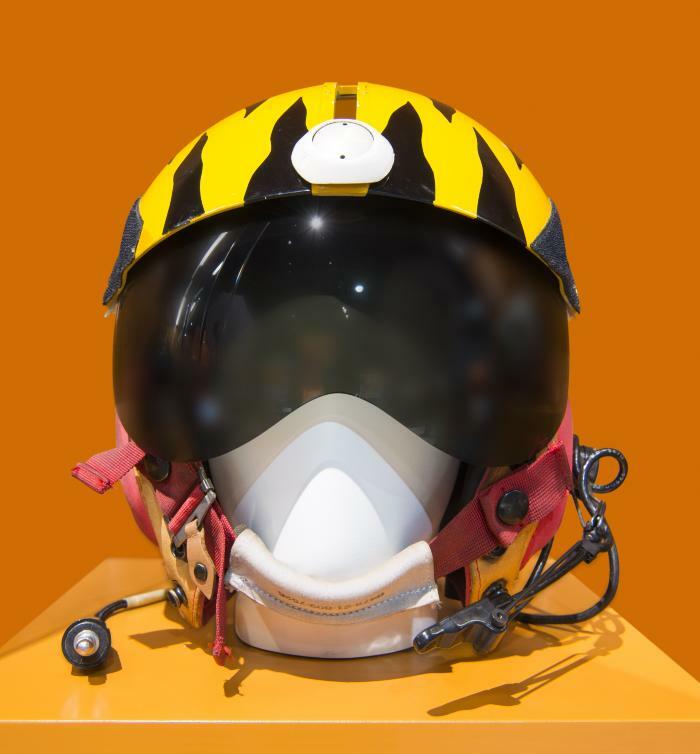 Pilot helmets are excellent, longstanding examples of technological convergence in wearable tech design. This mid-1980s Gentex, used by the Canadian Air Force, seamlessly integrated four essential safety and communications features: a protective fibreglass shell, drop-down sun visor, breathing mask attachment, and built-in audio system. Made in Carbondale, Pennsylvania, USA.